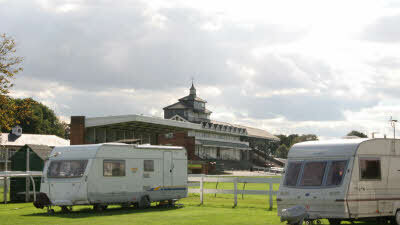 Thirsk Racecourse Club Site is managed by The Club on behalf of the Racecourse. Whilst staying here you'll be pitched within sight of the main stand, with the famous turf stretching out before you. A 5-minute walk from the caravan park will take you to the lovely cobbled market town of Thirsk, with its quaint shops, pubs, cafes, secluded side streets and rich local atmosphere and the award winning James Herriot Museum. There are two supermarkets located adjacent to the site and the train station is only a mile away so you can easily visit the cities of York and Newcastle. 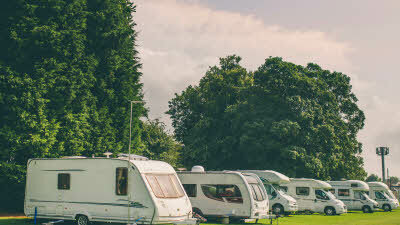 Conveniently situated midway between the A1 and the A19, Thirsk Racecourse Club Site makes for a natural overnight stop - but there's so much more to explore as well. Just a short drive away are many other traditional Yorkshire market towns such as Helmsley, Masham and Bedale. You will also be in pretty Herriot country, between the lovely rounded Yorkshire Dales and the more dramatic North York Moors - you'll want to make the time to enjoy the splendid views and walks that these two majestic destinations have to offer. There are various National Trust and English Heritage sites within the surrounding area, including spectacular abbeys such as Fountains, Rievaulx, Jervaux and Bylands. 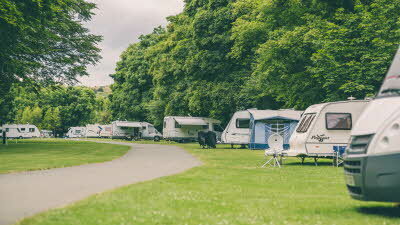 Whether you plan a longer stay or a short travelling break, this caravan site has much to recommend itself and you are assured a relaxing and pleasant stay. The nearest National Cycle Network route to this site is route number 657, Thirsk to Easingwold. You can also explore the perimeters of the North York Moors National Park on National Cycle Route 65. 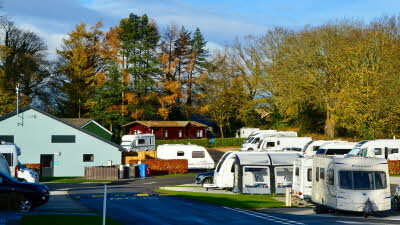 The site is a perfect base from which to explore both the Yorkshire Dales and North Yorkshire Moors. Just a five minute walk takes you to the centre of Thirsk, or the River Cod where you can enjoy a stroll. The closest are Tesco and Lidl, directly opposite the site. Aldi is 1 mile away. All are acessible for motorhomes. Use following route only: caravans are not allowed on A170 Sutton Bank. Leave A1 at junction 50 signposted Ripon, Thirsk onto A61 (signposted Thirsk). Site entrance is on the left (just past the racecourse buildings). Members are welcome to stay on site during race days, though please note that all outfits have to be pitched on the Rally Field. This area is non-electric and does not have toilet blocks. Outfits already on site must move to the rally field by 10am the day before a race meeting. Arrivals can be accommodated on race days but will be pitched on the rally field. 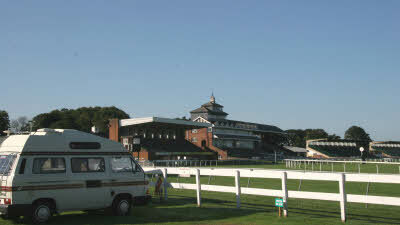 Visit the Thirsk Racecourse website for the most up to date information. 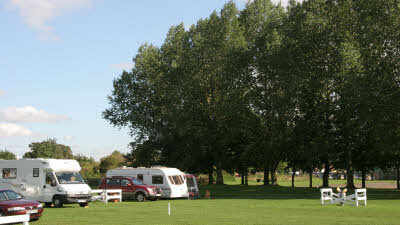 Visited this entirely grass pitched site for 2 nights in September. Situated within a 5 minute walk to the centre of Thirsk, however this does mean there is a lot of traffic noise on two sides of the site throughout the day. The site underfoot feels firm so even in bad weather I would imagine drainage is good. Facilities are shared public facilities for race days so despite the cleanliness being adequate they were not to regular club standard. 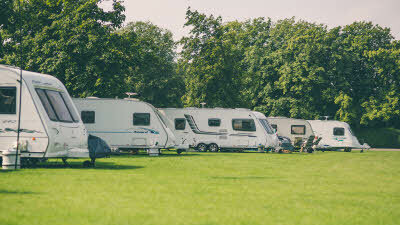 The 3 blue peg pitches adjacent to the racecourse rail are undoubtedly the best on site. The remaining blue peg pitches back onto a busy road so you are taking a chance if booking a blue peg pitch. Best aspect of the site is the locality to the town centre. The railway station is a 30 minute walk offering connections to York or Durham. We last visited Thirsk 9 years ago for a night after picking up our new MH in Nottingham. Thirsk was far enough for a drive and near enough to return to the dealers if there was anything wrong. The reason for this visit was to have a security system fitted into our next MH and go further afield. We were fortunate that we asked for a pitch near the utilities block to help my wife who has health problem. 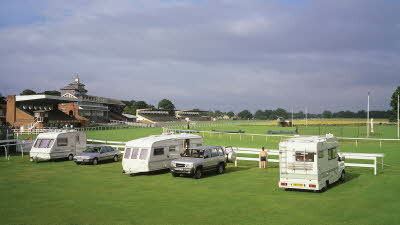 We were pitched facing the racecourse on the running rail and it was wonderful. No noise from the road but I could imagine when the place is full and you are in the opposite corner of the site it will be noisy as you will be adjacent to the main road, and two supermarkets. The site is great for anything you need as Tesco and Lidl are adjacent. It is also a wee stroll to the town centre which is a lovely wee market town with plenty of individual shops not like most places with their homogeneous town centres. The facilities were great and I remember having a laugh the last visit and nothing has changed, they are obviously made for jockeys as everything is a tad tight for normal sized men. They were spotless and the shower was wonderful. I loved the poem in the men's cubicles which although I can't remember the words asked in a very nice way to clean the toilet bowl before you leave. I think this should be repeated in every C&MH club site as there are still anti-social people who seem to think leaving a mess in a toilet bowl is acceptable. Their homes must stink if they do the same there. 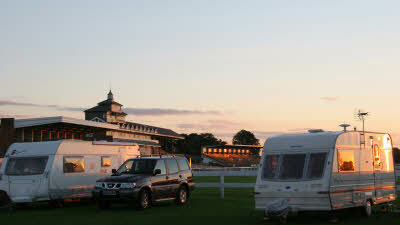 We had a great stay at Thirsk and much thanks goes to Roger and his wife who were so helpful. Was aware of the limitations of the site so no big surprise. Things were not as bad in my opinion as others have stated. However my big gripe, out with the control of the club, was the noise. There was significant traffic and train horn noise from early hours so the site was not peaceful. Although the toilet facilities were dated they were spotless and well looked after. After reading some of the most recent reviews I was worried this might be a bad expirence for my first club stay since joining. 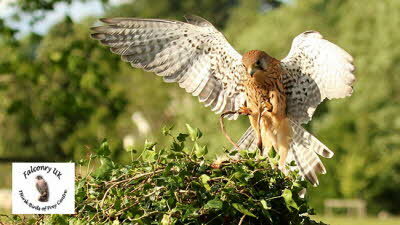 I arrived on site and was welcomed by the warden and his wife who were very pleasant and made us very welcome. The pitches are all grassed and fairly level. We were with another couple and we got 2 pitches together. 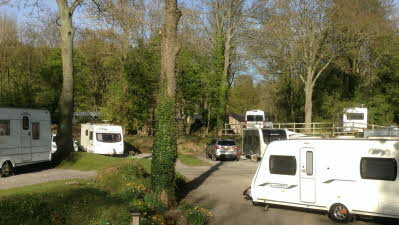 The site was very busy and soon filled up. 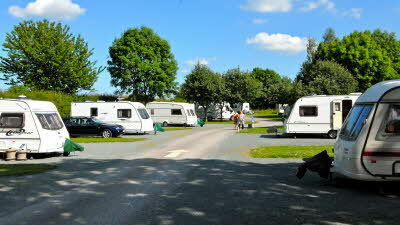 An ideal site for access to Thirsk with Tesco and Lidl less than 5 minutes away and the town a ten minute walk. The toilets were very clean despite previous reviews. 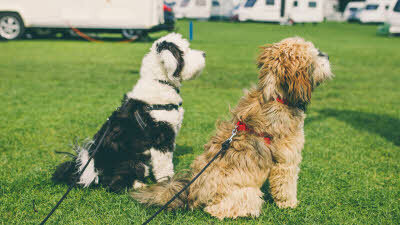 The warden explained where we could walk the dogs and we walked round the racecourse twice. Great site for our first club visit.